Update 8/18/11 Probably Turntable.fm inspired, but here come a lot of rooms to hang out in. watch and comment on, videos. In Beta, these guys have a great domain http://chill.com. This dovetails nicely into the previous post about CrowdNamer because it too involves a crowd. Before there was Groupon there was ThePoint. Andrew set it up so that people could build critical mass around an action before the action executed. So, for instance, if you were going to protest something, but didn’t want to risk a lame turnout, you could post the campaign to ThePoint.com (still can) and only after reaching a critical mass of supporters would an action trigger. I’m also thinking of Kickstarter, especially that aspect of it that requires a target dollar amount to be achieved before any of the contributions change hands. If you’ve ever made a short film, music video, or video ad for that matter, then you know how difficult it is to get an audience together to watch your work. Submitting to film festivals etc etc… Or sometimes you want early stage feedback to help you shape your story. Or you might have a fork in the road and want some audience to help determine which way to turn. 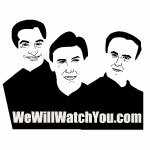 Introducing WeWillWatchYou (this one has an audio logo as well, it’s a drum beat, can you hear it?) Post a project. Collect committers until you reach your goal, and then- we watch online, together, and talk about it in a live chat! Data! Fans even. Since I’ve discovered Convore.com I can safely say that the chat part of the equation is done. The video can be posted on YouTube, even privately. So all I really need is a front end where film makers and video artists can login and post projects. And watchers can create an account and commit to watching projects. Doesn’t sound too difficult but it is beyond my coding chops. If you know of an off the shelf CMS that could do it, easily, let me know. I don’t see a business model yet, but hey, it’s 2011! This was written by John Humphrey. Posted on Monday, February 28, 2011, at 3:34 am. Filed under Domain Development, Domaining, Domains Are Brands, Project Domain Names. Tagged audience feedback, convore.com, critical mass, indi film making, kickstarter.com, thepoint.com, watch my movie. Bookmark the permalink. Follow comments here with the RSS feed. Post a comment or leave a trackback. 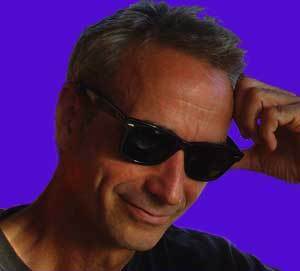 ‹ CrowdNamer.com, or is it CrowdName… CrowdNaming?